Volunteers' help needed for Finnish Game Awards event! Etsitään viittä tai kuutta vapaaehtoista, tehtävinä tapahtuman esivalmistelut tapahtumapäivänä (rollupien ym. laittelua, plaseerauskorttien laittelua), osallistujien sisäänkirjaaminen ja ohjaaminen tilassa, palkintojenjaossa avustaminen, rollupien ym. materiaalien purku tilaisuuden päätteeksi ja muut tapahtuman aikana mahdollisesti ilmenevät, vastaavanlaiset juoksevat tehtävät. Oma-aloitteisuus ehdottomasti plussaa. The Finnish Game Awards tapahtuu torstaina 25.4. Ravintola Bankissa. Vapaaehtoisten olisi mieluusti päästävä paikalle jo n. klo 14. Itse tilaisuus alkaa klo 18, ja päättyy viimeistään klo 01:00. Tyylikäs, siisti pukeutuminen (puku). Vapaaehtoiset ruokitaan, ja heille järjestetään todennäköisesti jälkikäteen myös oma pieni karonkka. PÄIVITYS 26.3.2019: Vapaaehtoiset tapahtumaan ovat löytyneet, kiitos kaikille mielenkiinnosta! Looking for five or six volunteers to help in the preparations of The Finnish Game Awards on the day of the gala, to help set up rollups etc., to check in guests and answer their questions, to assist in the awards ceremony and finally help take down our materials and clear the space once the event is over. The Finnish Game Awards takes place in Restaurant Bank on Thursday, 25th April. It would be great if the volunteers could arrive already around 14:00. The event itself begins at 18:00 and will finish by 1:00. Dress nicely (suit). Volunteers will be fed during the evening and will most likely have a little thank you get together arranged for them sometime after the gala. UPDATE 26.3.2019: Volunteers have been found for the event, a huge thank you to everyone for your interest! The February IGDA gathering at the Helsinki Hub was a non-commercial Post Play Party devoted to games and experiences created during the 2019 Global Game Jam. Four speakers of different professional backgrounds in the industry, united in their their passion for jamming, informed and amused the audience by sharing their knowledge and their personal stories. The first to take the stage was Annakaisa Kultima, president of Finnish Game Jam and game studies scholar at Aalto University, shared her insight about game jamming or as she defined it: Improvisation of Game Development. 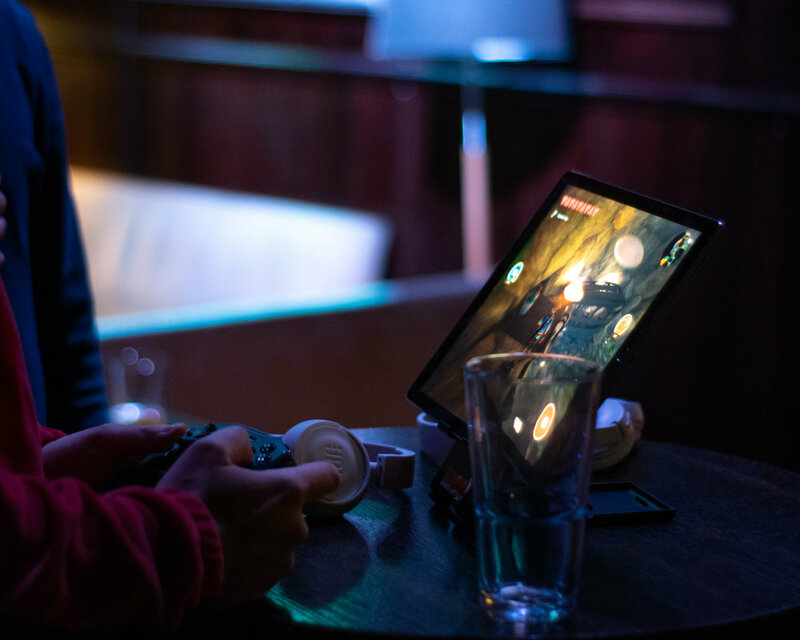 According to Kultima’s seminar, Crazy Stunts and Awesome Numbers, Finland contributed to the global scene by producing 218 games in 26 locations by a total of 884 jammers in 2019. Unlike many other countries, a respectable amount of jammers are already working in the game industry while Finland also maintains one the highest ratios of games made to game jam participants. Minna Eloranta, a game artist at Secret Exit, spoke about her Game Jam experience in Haifa, Israel. Expecting more of a culture shock, Eloranta found jamming in Haifa far less different than anticipated. Tools and terminology remain largely same. Of course, that doesn’t mean that there were no differences: politics heavily affect the game development in Israel, preventing creation of larger networks and developer communities with nearby countries. On a lighter note, Israel actually is the first country to start the Global Game Jam due to Sabbat. Superjammer Samuli Jääskeläinen told about his experiences jamming at a mall in Shenzhen, China. Jääskeläinen is a jamming veteran who for many years now has travelled to different countries to experience the Global Game Jam in a different environment each year. Jamming or not, Jääskeläinen has a goal of making a game every month, a streak currently on its seventh year. He manages this by strict prioritization: by day he works as a software engineer at Varjo Technologies, while at night he’s a superjammer, who keeps game development strictly as a hobby. Speaking of prolific, the last seminar of the night was held by composer and sound designer Elie Abraham, probably better known among the regular jammers as “That Guy with the ‘I WANT 2 MAKE MUSIC 4 UR GAME’ Sign”. Abraham tries to partake in as many game jams as possible, and usually contributes music to over ten games per jam. During the 2019 Global Game Jam he participated in creation of 30 games! In addition to serial jamming, Abraham has held talks, key notes, and workshops at several other jams. A Vacuum-Cleaning Game and Meanwhile at Home simulate house cleaning; Dumpling Family was developed by the team of Samuli Jääskeläinen in Shenzhen, China and focuses on cooking; Party Pooper is a point-and-click game about navigating a house party. Meanwhile other titles used ‘home’ in more abstract ways: Laika’s Super Sober Adventure in Space features the titular cosmonaut dog traversing space, waiting to return home; while in Human Rescue dogs try to find homes for stray humans. Creative Mobile and IGDA Estonia invite you to visit Tallinn for the GameDev Days conference on April 11-12. Founded in 2011, GameDev Days is an annual networking and knowledge sharing event, that attracts technology companies, global platforms, and game developers from the Baltics, Nordics and the rest of Eastern Europe. Find new clients or strategic partnerships in the Baltic and Nordic regions. Talk to platform representatives to find out about upcoming updates. Get inspired by fellow developers, learn about their innovations and technologies and share your experience. Meet new talent to hire or find your dream job at the GameDev Days Careers fair. Friendly atmosphere and cozy environment create pleasant experience for networking and obtaining new knowledge. More than 70% of our audience are returning year after year, bringing friends and colleagues along. 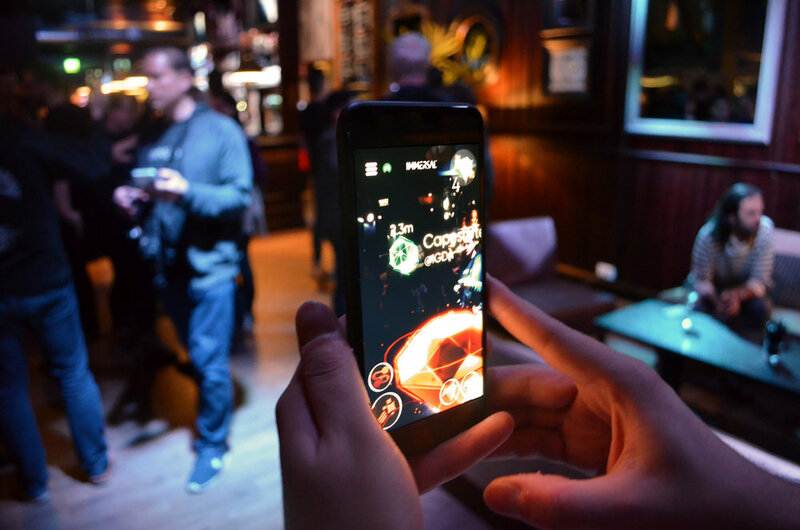 Companies who have already confirmed their participation include Google, Wargaming, Ubisoft, Glu Mobile, and Remedy. We guarantee a world-class speaker lineup and high quality of content and networking. Check out the conference website for a list of confirmed speakers and discounts on lodging and ferries. Use promo code IGDAFIN when registering for 20% off of all tickets. Earn an Expo Plus Pass to the 2019 Game Developers Conference with about 12-15 hours of on-site volunteer work with IGDA HQ. GDC 2019 runs from Monday-Friday, 18-22 March. Volunteers have a required orientation on Tuesday afternoon, 19 March. If you are accepted into the IGDA @ GDC 2019 volunteer program, you are expected to be on-site from the start of orientation (Tuesday, 19 March) through the end of the conference on the evening of Friday, 22 March, during conference hours. Plan accordingly so you have no conflicts during that time. Last day to submit your application is 16 January 2019 @ 10PM PST (UTC-8)! 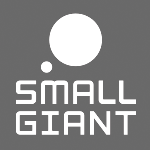 IGDA Members Get 20% Discount for PGC London 2019! • 20% discount on ticket rates. It’s that time of the year again, when developers congregate to bid their farewells to the departing year in good old IGDA fashion. The final Helsinki Gathering of 2018 was sponsored by Veikkaus and in addition to the usual free drinks this event included physical loot boxes and a fun non-traditional Christmas feast where the main ingredient was hot dogs. Their new, pirate-themed game Kultaranta occupied the demo corner, and featured as the common center point for the presentations. The seminars were opened by Veikkaus studio head and a game development veteran Henri Lindgren, whose presentation Veikkaus Game Studio in a Nutshell went into detail about their development cycles, team structures and company philosophy. 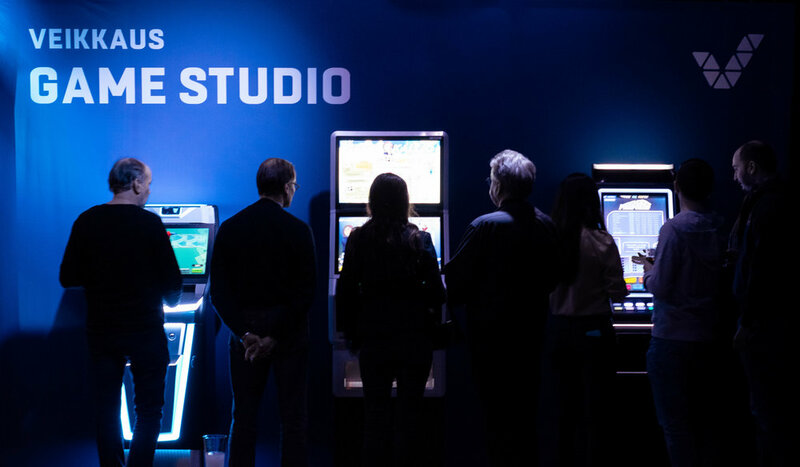 The focal point of the presentation was the shift from slot machines towards the mobile-first game design Veikkaus has been doing for the past year. Lindgren’s previous experience in mobile F2P games has proven to be a powerful tool in leading his current studio to success. When asked to share a few hints on how to inspire teams instead of simply managing them, Lindgren used safety, freedom and responsibility as the key to success. Following Lindgren was Sakari Tiikkaja, lead game artist at Veikkaus. In his presentation, Our Approach to Game Design and Creative Design, he went through the journey of a Veikkaus game, from raw concept to finalized, concrete assets. A key component on this journey is a 5-Step Design process influenced by Tim Brown and Roger Martin and further based on the work of designer Feng Zhu. After Tiikkaja the stage was given to lead game artist Senja Heikkinen and senior game artist Henrik Hackenberg, whose presentation Case Study: Kultaranta delved into various trials and tribulations the game had during its development. 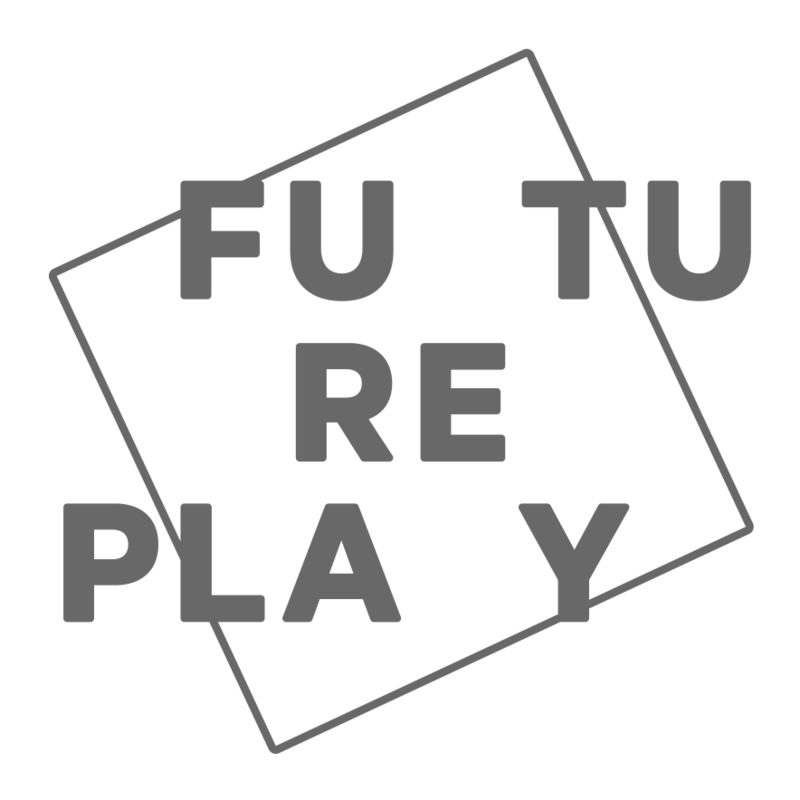 While primarily a recitation of the art design for Kultaranta, going from early sketches and mood boards to the finished product, the presentation also explored topics such as designing a game simultaneously for three different types of slot machines and working with the ever-changing, yet endlessly strict Finnish gambling laws. However, at least when it comes to the latter, Hackenberg thinks that the situation has improved. “Instead of handing each gambling company an unique monopoly, the Finnish law has recently been unified so that there’s less fear of stepping on one another’s toes”, he says. Happy holidays and joyous new year. See you in 2019! IGDA Finland Appoints New Chairperson and Board! On behalf of IGDA Finland, I am proud to accept the position of Chairperson and delighted to announce the new elected Members of the Board of IGDA Finland - big congrats to Vesa Raudasoja, Oskari Tamminen, Tuomas Roininen and Joni Finne! A big THANK YOU goes to Juha Vainio, Jussi Loukiainen and Daniel Fischer for incredible work in the Board for past two years! New adventures await, and we are preparing incredible events across Finland for our beloved community of game developers, cheers! International Game Developers Association on maailman suurin voittoa tavoittelematon jäsenorganisaatio, joka palvelee pelejä kehittäviä henkilöitä. Yhdistys on jo 24 vuoden ajan edistänyt työuria ja pyrkinyt parantamaan pelinkehittäjien elämää yhdistämällä jäseniä toisiinsa, edistämällä ammatillista kehitystä ja tukemalla kehittäjäyhteisöön vaikuttavia asioita. IGDA Finland tukee Suomessa toimivia pelinkehittäjiä monin eri tavoin. Yksi näkyvimmistä tavoista on säännöllisesti järjestettävät avoimet kokoontumiset. The International Game Developers Association (IGDA) has appointed Vesa Raudasoja as new chair of the board of directors, promoting him from the vice-chair position at the world’s largest organization serving individuals who create games. Previous chairman David Seltzer will continue to serve on the board as chair emeritus, with current board member Emily Greer stepping in as new vice-chair while Lucien Parsons continues as treasurer and Renee Gittins as secretary. Vesa Raudasoja is a game consultant and community developer based in Finland. His career covers more than a decade in international collaborations, community building and grass roots efforts helping people get involved in games. He helped grow IGDA Finland into one of IGDA's flagship chapters with more than 1,700 members and 12 hubs and was awarded with the Lifetime Achievement Award in 2015. He is also a board member and evangelist with the Finnish Game Jam Association as well as co-founder of Devs.tv. Emily Greer co-founded Kongregate in 2006 and took over as CEO in February 2014. Greer led the company’s rapid rise as a free-to-play web destination along with its expansion to mobile, PC and console game publishing, as well as the launch of the company’s new PC platform Kartridge. She is also well-known in the game industry for her presentations on the economics and psychology of free-to-play games. Lucien Parsons is a games business and operations expert with a programming background and an MBA in Innovation Management from The Wharton School. With experience covering four continents, eight years of game development and 18 years of technical project management and production, Parsons has worked on everything from social media games and AAA titles at companies including ZeniMax to projects for the U.S. government and hospitals. Renee Gittins is a multi-disciplinary leader with expertise in software engineering, creative direction and marketing at companies including X2 Biosystems and Xbox Games before becoming the creative director and CEO of Stumbling Cat. She is an outspoken advocate for diversity in the game industry and supports the growth of developers by organizing game-jams, panels, job fairs and other events as a board member of IGDA Seattle and by actively mentoring game development students at Foundry10. October is the time of the year when the evenings get darker, leaves fall and the spirit of Halloween rises with undead horrors. The October gathering was appropriately sponsored by Next Games, celebrating the release of their recent title, The Walking Dead: Our World, an AR title where the player takes on the zombie hordes on the streets of the real world. For the past five years, Next Games has been working hard to elevate the reputation of games using licensed intellectual property (IP), and they are currently working on three new games based on popular entertainment franchises. Sulka Haro, lead designer of The Walking Dead: Our World, opened the seminar with his presentation “In Search for Location-based Mechanics - The Walking Dead: Our World Design Retrospective.” He went through the game’s creation process from their three core design pillars (“Play everywhere, Support couch play, and Be true to The Walking Dead) to aspects of the game’s core loop and the concept of shared reality. The presentation also delved into a brief history of AR games, listing influences and lessons learned from each spiritual predecessor of Our World. The second speaker was Matias Ärje, director of technology at Next Games. His presentation “Earth, My Game Level - How the Planet-Wide Gameplay in The Walking Dead: Our World Came to Be” explained the methodology and language of the impressive mapping technology used in Our World. The presentation went into detail about the process of mapping, use of art, troubleshooting gameplay elements, and offhandedly explained compatibility issues between Google Earth and Google Maps. The third and final presentation of the night was “How We Gather, Use and Lose Data - On Data Architecture, Selected Results, and Data Retention” by Jörkki Hyvönen and Vesa Palonen, the self-described “Matti & Teppo of the Game Industry”. Both worked with analytics on Our World; with Hyvönen as the Head of Analytics, while Palonen described himself as a ‘happy generalist’. The duo went through how data collection works at Next Games, and how applying analytics to that data affected the creation of Our World, from visibility and prediction to modelling and automation. In addition to the presenters, we talked with Susanna Aittokoski, the communications manager at Next Games. According to her, the company’s success in the industry and good reputation on work ethic are thanks to the company’s culture, based on values of Caring, Courage and Curiosity. These values also extend to their partners, which has allowed a tighter relationship with the licence holders. Currently Next Games is the official, exclusive developer of The Walking Dead games. 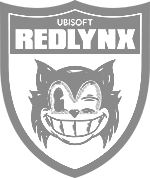 The close working relationship has enabled Next Games to have their games closely integrated with the series. For example, events of the series are reflected in The Walking Dead: Our World a day after the episode airs. “Things like that are just plain cool to do,” Aittokoski said with excitement. 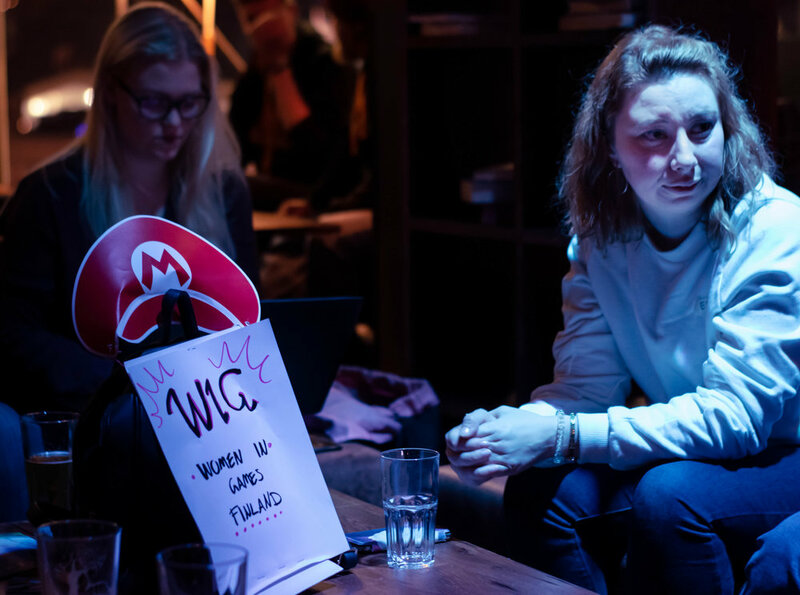 Alongside the seminars IGDA Finland presented their new project IGDA Future, an upcoming series of events aimed at kids and young people, created in collaboration with the libraries of the Helsinki Metropolitan Area and Digitalents. The aim is to create an equivalent of IGDA gatherings for younger audiences, with less stress on networking and more emphasis on activities.